Barton is dually trained as both a lawyer and as a financial economist. He is a researcher and writer on investment strategy and policy topics, and on pension finance. Barton is the retired Chief Investment Officer for Investment Policy and Strategy, Emeritus, at Barclays Global Investors (since merged with Black Rock). He was a managing director there, and started up the firm’s highly respected Client Advisory Group in 1995, which he ran until going into semi-retired status at the end of 2006. He fully retired in January of 2009. Barton’s research and his many published articles have focused on helping today’s investors control their risks and enhance their returns, in both beta and alpha dimensions. While most of his client work was for BGI’s “strategic” clients, the largest of the world’s institutional investors (defined benefit retirement plans, foundations, endowments, social security systems, and central banks), his research was also often directed at the investment strategy needs of individuals (asset allocation, savings rules, and spending rules). 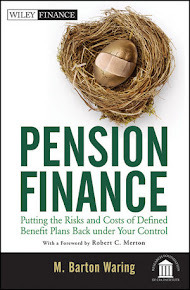 His 2012 book, Pension Finance: Putting The Risks And Costs Of The Defined Benefit Plan Back Under Your Control, has received strong acclaim among pension specialists of all types. 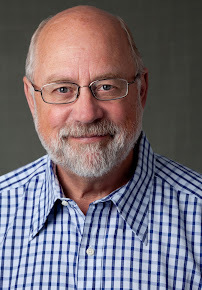 He has published over three dozen articles on surplus asset allocation and pension accounting/ management issues, manager structure optimization and risk budgeting, active vs. passive investing, hedge funds, and on defined contribution/ individual investor investment strategy. Six of these articles have won “outstanding article” awards from their respective journals (including three Graham & Dodd awards from the CFA Institute), and these and many others are widely cited as setting today’s standards of practice. Mr. Waring is a past member of the editorial board of the Financial Analysts Journal, and still serves as an associate editor of the Journal of Portfolio Management and on the advisory board of the Journal of Investing. He regularly provides journaling and reviewer assistance to three other major journals, in addition. His background prior to BGI in 1995 also dealt intensively with classical investment strategy and policy issues. He was the manager of the well-known investment strategy consulting firm Ibbotson Associates, co-leader of Towers Perrin’s defined benefit pension plan asset-liability practice and the head of two of its regional asset consulting practices, and he started and led the original defined contribution business for Morgan Stanley Asset Management in 1992, implementing the lifestyle fund concepts that he invented in 1989 and which he has written about frequently. Barton received his BS degree in economics from the University of Oregon, his JD degree from Lewis and Clark, with honors, and his masters degree concentrating in financial economics from Yale University. Barton can be contacted at barton.waring@aya.yale.edu. A full list of his publications is available at http://www.bartonwaring.com/p/barton-warings-publications.html.